3G technology will increase cyber crime ! Cyber Crime has now reached to hacking information from the mobile phones. The 3G technology recently launched by the mobile service providers is in much rage nowadays. 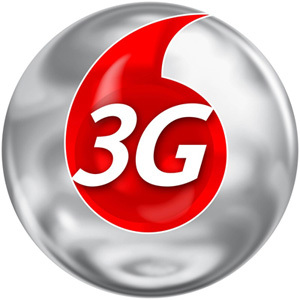 The 3G technology allows a user to access internet on a good quality network on the cellphone. As such hackers will now target the 3G users for accessing their personal information and this in turn will result into increased cyber-crime", said Sunny Vaghela, the cyber-crime expert while talking to TOI. When questioned is there any solution to this new problem, Vaghela mentioned that as of now there exists no solution to prevent hacking from taking place from a mobile phone but he added that certain steps can be taken to minimise the cases of hacking. "Never reply to the e-mails that offer lottery prize money. Always keep your anti-virus updated and do not download pictures of celebrities from mails sent by anonymous sender. Also avoid downloading songs from Pakistani wesbites. All these steps if taken can help a person in avoiding his personal information getting passed on to the hackers", informed Sunny further. The cyber-expert further advised that people should avoid using pirated anti-virus softwares that are of no help and can't check a virus inside a computer. He also advised that person should never disclose banking passwords or PINs on a website as that may get recorded with the wesbite that can be misused later. Demonstrating, how a person's cellphone can be used to make calls or send messages to some other number without his/her knowledge, Vaghela said that even this is possible nowadays with the help of a selected software tools. "Such calls will originate from the cellphone of a person without his knowledge. Therefore, there are high chances that a cyber criminal can make use of such calls for terrorist activities and cause harm to the integrity of a person", he said further. He concluded by saying that the threat e-mails originating from computers used by a hacker for some wrongful purpose can also be tracked and traced.